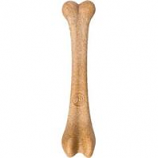 Durable nylon chew toy made with sustainable bamboo fibers. 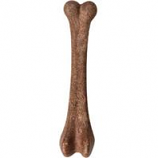 Occupies dogs for hours and satisfies their natural chewing nstinct. Great for dental health. Satisfaction guaranteed. .
Made with nylon and flexible rubber for a long satisfying chew. Features a red core visual indicator to let you know when its time to replace the chew. Small beef flavor is perfect for small dogs. Satisfaction guaranteed. .
Made with nylon and flexible rubber for a long satisfying chew. Features a red core visual indicator to let you know when its time to replace the chew. Medium beef flavor is perfect for medium dogs. Satisfaction guaranteed. .
Made with nylon and flexible rubber for a long satisfying chew. Features a red core visual indicator to let you know when its time to replace the chew. Large beef flavor is perfect for large dogs. Satisfaction guaranteed. .
Made with nylon and flexible rubber for a long satisfying chew. Features a red core visual indicator to let you know when its time to replace the chew. Small turkey flavored drumstick is perfect for small dogs. Satisfaction guaranteed. .
Made with nylon and flexible rubber for a long satisfying chew. Features a red core visual indicator to let you know when its time to replace the chew. Medium turkey flavored drumstick is perfect for medium dogs. Satisfaction guaranteed. .
Made with nylon and flexible rubber for a long satisfying chew. Features a red core visual indicator to let you know when its time to replace the chew. Large turkey flavored drumstick is perfect for large dogs. Satisfaction guaranteed. .
• Always Supervise Your Pet When Giving Them Any Treats. • Always Supervise Your Pet When Giving Them Any Treat. • Pet-Ease Helps Maintain Contentment During Separation, Travel, Motion Sickness and Tension. • Caused By Changes In A Dog S Daily Routine and May Also Curb Destructive Behavior. • This Powerful Combination Of Ingredients Helps Cushion Joints, Promote Cartilage Building, and Alleviate Discomfort. • Celebrate The Tastes Dogs Dream Of. . . With Zero Calories! Help Ease Dogs Through Stressful Events. 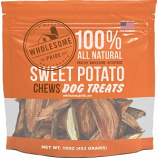 • Hip & Joint Soft Chews Supply Natural Ingredients That Support Joint Function and Promote Healthy Connective Tissue. 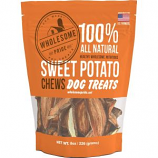 • Soft Chews Are Tasty and Make It Easy To Give Standardized Amounts Of Glucosamine and Chondroitin To Dogs Of All Ages. 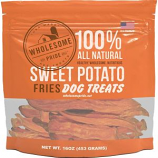 • These Mouth-Watering Flavors Of Nature Will Make Your Dogs Go Wild! Simple healthy treat made with limited ingredients. All natural no artificial ingredients fillers or preservatives. 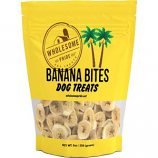 Grain free gluten free and great for dogs with food allergies. . .
100% natural and healthy. Grain free. Easy on sensitive stomachs. Great source of fiber vitamins and minerals. . Simple healthy treat made with limited ingredients. 100% natural and healthy. Grain free. Great source of fiber vitamins and minerals. .